"We, as the embassy, will support the event that enables participants to discover good points of Japan and Italy," Ambassador Giorgio Starace told an event in Tokyo, referring to the Aug. 27 Italian round of the Mt. Fuji-Zoncolan Carnia Classic race, a project co-hosted by Shizuoka Prefecture and Friuli Venezia Giulia Region. Shizuoka, which shares the highest mountain in Japan with Yamanashi Prefecture, will host bicycle events in the 2020 Tokyo Olympic Games. The Zoncolan area has hosted the major race Giro d'Italia. Shizuoka Vice Gov. 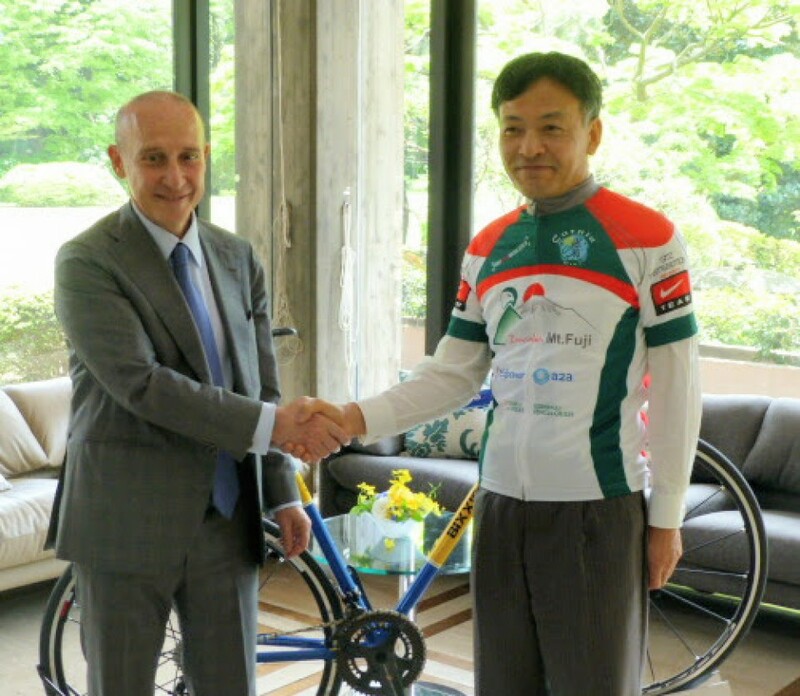 Takashi Namba, clad in a jersey he obtained during a visit to the previous Italian round in 2015, told the event that he looked forward to going to the area again for this year's race along with some staff from the prefectural government.